After all of this research on how to heal the thyroid naturally, I keep coming across the idea that most doctors don’t order the tests that you really need. I’d been having a hard time believing that, I mean...most doctors don’t know what lab tests to run? How does the medical community not know what thyroid tests you need?! But as I kept reading, I’ve found out that it’s because it doesn’t matter what some of the other numbers are. All the treatment options are the same; medication until the organ completely stops working. And then more medication for life. Or until your diet and lifestyle help heal your thyroid and the medication is no longer needed. I’ve also had many, many conversations with all of you through email and Facebook, frustrated because you also feel like junk, but either your lab tests are “normal” or because you’re not feeling better even under the care of a physician. And in those conversations, I’ve found that what I’m reading is true! (I’ve even had multiple people tell that their doctors told them to stop coming back over the issue because there was nothing wrong with them!) Many doctors aren’t testing the thyroid the way it needs to be tested. Not MD’s, not OBs, and not even RE’s. That doesn’t mean that your doctor wouldn’t think to run them – it just means that there are doctors out there who don’t.You can also ask your doctor to run specific tests and any good, patient-minded doctor, should be more than willing to help you get to the bottom of your issues. The Thyroid Stimulating Hormone is released from the pituitary gland when the levels of T4 drop. It’s one of the most sensitive markers for thyroid function and is commonly the only one tested. Though since it’s the pituitary gland that secretes TSH, it’s more of a marker on pituitary function, and how the pituitary is reacting to overall health. From many women I’ve heard from, by the time their TSH was enough out of range to get treated medically, they were in really bad shape. Most laboratories also give different ranges, as they all take an average of the tests from other people who come to their lab. So if you live in an area where hypothyroid is quite common (like here in Michigan!) the ranges could be quite wide. My lab’s range was actually .35 – 4.94. I have noticed though that many doctors are starting to look more at the functional ranges, which is a good thing. But again, just testing TSH is a poor indicator of overall thyroid health. This tests for the available T3 in the body, and since it is active thyroid hormone, is a good marker for how much of the hormone is accessible to your body and its cells. “Free” refers to the hormone in it’s unbound state, instead of when it is bound to proteins and is transferred through the body. Again, this tests for the unbound T4 in the body. While inactive, this hormone is converted by the body into the usable T3 hormone. This lab test checks for any reverse T3 that the body produces; this can take place because of extreme stress or trauma. You can then figure out the ratio of free T3 to reverse T3 at Stop the Thyroid Madness. This way you can make sure that even if your labs show up as “normal”, that everything is functioning as it should. Usually checking for multiple antibodies TPO (thyroid peroxidase) TGB (thyroglobulin). Sometimes a lab is run for thyroid stimulating hormone antibodies if Graves disease is suspected. An antibodies check is HUGE. Why? Because if it shows positive, you have a confirmed auto-immune disease. Your body is attacking itself and causing major damage to the thyroid. And some experts state that up to 90% of all cases of hypothyroidism are due to Hashimoto’s. Dr. Kharrazian also mentions that he will test a person twice (especially if they are on a gluten-free diet already) if he suspects Hashimoto’s because the immune system fluctuates. Thyroid labs: There are a few other thyroid labs that Dr. Kharrazian lists in his book “Why Do I Still Have Thyroid Symptoms?”, though the ones listed above are a really good start. Adrenal Cortisol Levels: done by a saliva test, not a blood test. Vitamin D3 (25-hydroxyvitamin D lab test…): We’ve talked a little bit about the role of Vitamin D in fertility and this is an overall good thing to check for everyone. Especially those who live in the mid to upper states or spend most of their days indoors. Functional ranges are 50-100, with most people feeling better around 75. 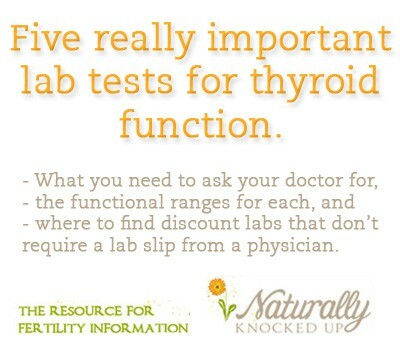 You can also find a few more recommended lab tests at Stop the Thyroid Madness. Many of us have decent medical insurance where many, if not all, of these lab tests are fully covered. Or at least covered with a copay. Not me, I have to pay for diagnostic tests. And I’m sure many of you may have issues paying for all of these lab tests too! One of the online groups I’m part of mentioned a private lab, located throughout the states, that will run lab tests without a doctor’s prescription. Here’s a list of labs you can check with – make sure to call as I found out there were more locations than stated on a couple of these sites! Another bonus is that most of the time these labs are much cheaper than the laboratories your doctor may send you to. They have labwork specifically designed for readers of Stop the Thyroid Madness, as noted by STTM before the test name. Click here and find a discount code on STTM! You have to sign up to view the site, but comes recommended by STTM. Also has STTM specific lab tests. A discount lab where you can view your results online. Again, has STTM tests. So for those of you who have your test results – did you have the proper tests done? And if so, how do your numbers look on the functional range guidelines compared to the pathological/typical lab ranges? Great info. Also just to add – another test worth mentioning with this article is to get a hormone test. For example often low progesterone is actually the cause of an underactive thyroid and if you sort the hormone balance the thyroid will come bad. This is for men and women! Makes me wonder how many people take thyroid medication when it’s just a hormone problem root cause all along. Check out the research of Dr John Lee for more on this as that’s where I got this info on how it affects thyroid! Apologies for the typo above. I meant if hormone balance is restored that the thyroid will go back to normal. Meant to be back not bad. So what ARE the treatment options other than supplementing with medication? I really want to know this too! Also, any tips about convincing my HMO doctor to run these tests? @Luci, Also, as for the doctor – I guess (depending on the doctor) I’d just bring in some research on why you think you may be dealing with it and ask for the specific tests. And double check the lab slip to make sure they are on there. Most of the time if you come to doctors and make it seem like they are super smart and you would love their help, they’re more willing. ;-) I try and use the same techniques that I used with a horrible old boss. Make it seem like their idea and you’re golden! For my Free T3 it only gives what the Lab range is – is there a way to convert that to the functional range since it’s measured differently? @Michelle, Yea….there are some convertors online – but I couldn’t figure it out well either! The typical lab range on my records is 2.3 – 4.2. So technically with my free T3 at 2.8, I would be considered fine. But the functional range my DO is recommending is 3.2 – 4.2 for me. And from talking with other thyroid patients, many say the feel better in the top 1/3 of a typical lab range. So somewhere around mid 3’s is where many people feel they function best. @Michelle, Blood Chemistry and CBC Analysis by Weatherby is supposed to be a great resource that gives you all the functional and ideal bloodwork ranges for all kinds of test. I just ordered it from amazon, so i’m not sure what the ideal ranges are yet, but might be something you’d want to check out. Have you found somewhere to reference for functional levels of various blood work versus the lab results? I’m trying to find some functional numbers for liver function. Thank you for the great series on thyroid health! 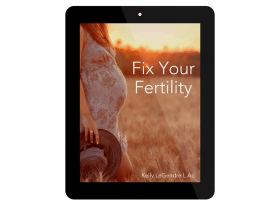 I’ve always thought through my secondary infertility struggles, that I was borderline for hypothyroidism. My blood work so far is coming back to say that too based on functional levels. Thanks again! @Michelle, I haven’t in the few searches I’ve done, but I’m sure they’ve got to be out there……. I only came across the thyroid ones in a book and on the web by searching for “functional thyroid lab numbers”. Maybe try the same with liver? @donielle, Blood Chemistry and CBC Analysis by Weatherby should be able to help you. I find this interesting as I’m on a hunt for why I can’t lose weight (I’m 10 months postpartum). Been on the lowest level of thyroid meds for 13 years. Amount needed never changed (at least according to my doctors). Using your numbers and my latest lab results, I’m actually low for TSH but high for free T3 (all normal per lab range). Which just makes me wonder. I’ve been gluten free for almost 3 years, and found a corn allergy about 2 years ago. But something’s still not right, despite eating healthier and following a more nutritional diet, so I’m trying to figure out what it is. Now I suspect it could be something related to my thyroid as that’s already a known issue. 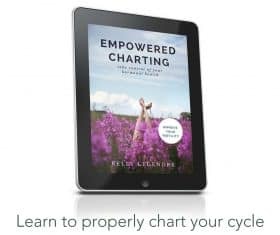 @Christine, I would highly suggest Dr. Kharrazian’s book “Why do I still have thyroid symptoms when my lab tests are normal?”. He has six different types of hypothyroidism with their normal lab tests (high in one hormone, low in the other, etc) So you may be able to look up your specific results and figure out what a cause and treatment option could be. He also mentions quite often that while the meds may be helping your lab numbers, the thyroid could still need major help – because the meds don’t heal it, they just give you the hormones you may need and the body may not respond as well to synthetic hormones. Have you ever had your thyroid antibodies checked at all? This is probably a stupid question but regarding the antibody testing…the goal is to have a value of zero, right? Any non zero, positive number means that the thyroid is being attacked – right? Or is there a functional range for those too? @Kimberly at FertilityFlower, Yes, zero antibodies would mean no autoimmune thyroid issue going on, anything above is pointing to Hashimoto’s/Graves. Most doctors look at <20 for the antibodies lab. but I've also read that if any number above zero comes up, that you'd want a recheck a few months later to make sure it's not going up. What a helpful explanation of thyroid labs! His book was one of the first I read after being on thyroid meds and expecting to feel better, but was actually feeling worse. I couldn’t believe there was a book with a title that mirrored my own question. Now that I’m seeing a holistic MD who checks ALL my levels, I’m finally feeling better. Still working on a variety of issues, but I think my thyroid function is finally stable. Thanks for this resource! What do you suggest doing if my D3 levels came back as 25? In NY u will continue to be blocked at the drs office. That’s too bad! I do know practitioners that work long distance with folks, so maybe that’s an option?